English rockband Radiohead, a favourite of 007 star Daniel Craig, were invited to write the title song for the 24th James Bond film 'SPECTRE'. Ultimately, the studio would select Sam Smith's effort for the film. As a gift to their fans, Radiohead released the previously unheard song on Christmas day on Soundcloud. 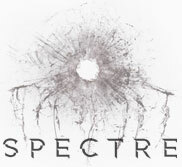 The band wrote: "Last year we were asked to write a theme tune for the Bond movie Spectre. Yes we were. It didn't work out, but became something of our own, which we love very much. As the year closes we thought you might like to hear it." You can listen online below, or download the MP3 by clicking here.